Newton is a suburban city in Middlesex County, Massachusetts, United States. It is approximately 7 miles (11 km) west of downtown Boston and is bordered by Boston's Brighton and West Roxbury neighborhoods to the east and south, respectively, and by the suburb of Brookline to the east, the suburbs of Watertown and Waltham to the north, and Wellesley and Needham to the west. Rather than having a single city center, Newton is a patchwork of thirteen villages. 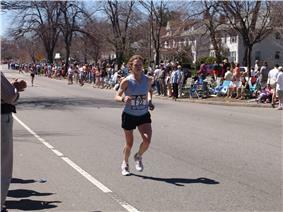 According to the 2010 U.S. Census, the population of Newton was 85,146, making it the eleventh largest city in the state. Newton's proximity to Boston along with its historic homes, good public schools, and safe and quiet neighborhoods make it a desirable community for those who commute to Boston. Newton is served by three modes of mass transit run by the MBTA: light rail, commuter rail, and bus service. Newton has consistently ranked as one of the best cities to live in in the country. In August 2012, Money magazine named Newton fourth best small city among places to live in America. Newton was settled in 1630 as part of "the newe towne", which was renamed Cambridge in 1638. Roxbury minister John Eliot convinced the Native American people of Nonantum, a sub-tribe of the Massachusetts led by a sachem named Waban, to relocate to Natick in 1651, fearing that they would be exploited by colonists. Newton was incorporated as a separate town, known as Cambridge Village, in 1688, then renamed Newtown in 1691, and finally Newton in 1766. It became a city in 1873. Newton is known as The Garden City. Further suburbanization came in waves. One wave began with the streetcar lines that made many parts of Newton accessible for commuters in the late nineteenth century. The next wave came in the 1920s when automobiles became affordable to a growing upper middle class. Even then, however, Oak Hill continued to be farmed, mostly market gardening, until the prosperity of the 1950s made all of Newton more densely settled. Newton is not a typical "commuter suburb" since many people who live in Newton do not work in downtown Boston. Most Newtonites work in Newton and other surrounding cities and towns. 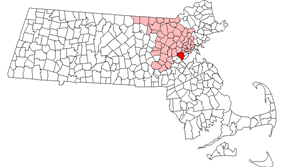 Newton is a suburban city approximately seven miles from downtown Boston, in Middlesex County, Massachusetts, at (42.337713, −71.209936). The city is bordered by Waltham and Watertown on the north, Needham and the West Roxbury neighborhood of Boston on the south, Wellesley and Weston on the west, and Brookline and the Brighton neighborhood of Boston on the east. Rather than having a single city center, Newton is a patchwork of thirteen villages, many boasting small downtown areas of their own. The 13 villages are: Auburndale, Chestnut Hill, Newton Centre, Newton Corner, Newton Highlands, Newton Lower Falls, Newton Upper Falls (both on the Charles River, and both once small industrial sites), Newtonville, Nonantum (also called "The Lake"), Oak Hill, Thompsonville, Waban and West Newton. Oak Hill Park is a place within the village of Oak Hill that itself is shown as a separate and distinct village on some city maps (including a map dated 2010 on the official City of Newton website), and Four Corners is also shown as a village on some city maps. Although most of the villages have a post office, they have no legal definition and no firmly defined borders. This village-based system often causes some confusion with addresses and for first time visitors. There were 31,201 households out of which 31.1% had children under the age of 18 living with them, 55.2% were married couples living together, 8.0% had a female householder with no husband present, and 34.3% were non-families. 25.5% of all households were made up of individuals and 11.1% had someone living alone who was 65 years of age or older. As of the 2008 US Census, the average household size was 2.60 and the average family size was 3.11. In the city the population was spread out with 21.2% under the age of 18, 10.3% from 18 to 24, 28.2% from 25 to 44, 25.2% from 45 to 64, and 15.1% who were 65 years of age or older. The median age was 39 years. For every 100 females there were 86.8 males. For every 100 females age 18 and over, there were 82.7 males. According to 2010 income statistics the city of Newton had a median household income of $112,230. With an average household income of $167,013 and a per capita household income of $65,049. According to a 2008 estimate, the median income for a household was $108,228, and the median income for a family was $137,493. Males had a median income of $65,565 versus $46,885 for females. The per capita income for the city was $45,708. About 2.1% of families and 8.3% of the population were below the poverty line, including 4.8% of those under age 18 and 5.0% of those age 65 or over. Mayor: Setti Warren, the city's chief executive officer and appoints the Chief Administrative Officer. The Board of Aldermen, Newton's legislative branch of municipal government, is made up of 24 members – sixteen at-large Aldermen and eight Ward Aldermen. Aldermen are elected every two years. Note: Aldermen for 2014 and 2015 are listed below. The first listed person in each ward is the ward alderman, while the other two are elected at large. School Committee members for 2014 and 2015 are listed below. Clearway School, a small, private school specializing in educating gifted children suffering from learning disabilities. Learning Prep School school for children with learning disabilities. Newton Junior College, operated by the Newton Public Schools, opened in 1946 to serve the needs of returning veterans who otherwise would not have been able to continue their education due to the overcrowding of colleges and universities at that time. It used the facilities of Newton High School (now Newton North High School) until its own adjacent campus was built. It closed in 1976 due to declining enrollment and increased costs. The availability of such places as UMass Boston contributed to its demise. According to the city, its former campus is now "Claflin Park," a 25 unit multi-family development. Other former colleges include Aquinas College (1961–1999), Mount Alvernia College (1959–1973) and Newton College of the Sacred Heart (1946–1975). The city's community newspaper is The Newton Tab, now published by the Community Newspaper Company. The Newton community is also served by its high school publications, including Newton North High School's Newtonite and Newton South High School's Lion's Roar and Denebola. Residents of Newton have access to a state-of-the-art television studio and community media center, NewTV, located 23 Needham Street in Newton Highlands. Newton is also the headquarters for NECN, a regional news network. Route 9 in Newton Upper Falls. The Fig Newton cookie is named after the city. In 1991, Newton and Nabisco hosted a celebration of the 100th anniversary of the Fig Newton. A 100-inch (2,500 mm) Fig Newton was served, and singer and guitarist Juice Newton performed. In The Big Bang Theory episode "The Gorilla Experiment," Penny (Kaley Cuoco) asks about the relationship between Isaac Newton and Fig Newtons. Sheldon tells her they have no relationship and that the Fig Newton was, "Named after Newton, a small town in Massachusetts." The only Melkite Greek Catholic eparchy in America, the Eparchy of Newton, is named for Newton although its cathedral, headquarters and exarchial residence are located in the Roslindale section of Boston. In the television series Falling Skies West Newton is mentioned as a destination where survivors might be able to acquire food. 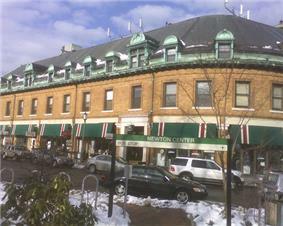 In the Louie episode "Dad", many scenes are filmed in Newtonville where Louie C.K. grew up. 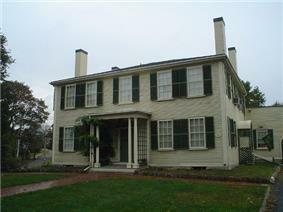 Katharine Lee Bates, who wrote "America the Beautiful", lived on Centre Street in Newton Centre. Samuel Francis Smith, a clergyman who wrote the words to the hymn "My Country, 'Tis of Thee", also known as "America", later moved to 1181 Centre Street in Newton Centre. Newton is mentioned in Jodi Picoult's novel Songs of the Humpback Whale. David Foster Wallace's novel Infinite Jest mentions Newton numerous times. In Caleb Carr's novel The Alienist, characters Kreizler and Moore travel to Newton to interview a person connected to the case. Part of Robert B. Parker's first Spenser novel, The Godwulf Manuscript, takes place in Newton. William Landay's novel, Defending Jacob, takes place in Newton. ^ "Best Places To Live". Money Magazine. ^ McAdow, Ron (1992). 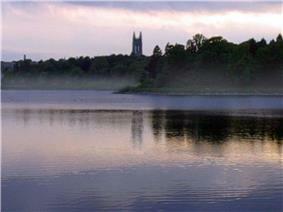 The Charles River. Marlborough, Mass: Bliss Publishing Company, Inc.,. pp. 171–174. ^ a b "Monthly Averages for Newton, MA (02458)". ^ "Jewish Population in the United States 2002" (PDF). Center for Judaic Studies and Contemporary Jewish Life. p. 14. Retrieved 2010-01-04. ^ "Newton, MA Household Income Statistics". CLRSearch. Retrieved September 12, 2011. ^ "Newton 2008 Income Estimates". Retrieved 2010-05-17. ^ "index". Newton.k12.ma.us. Retrieved 2012-11-16. ^ "Middlesex Probate and Family Court Division of the Massachusetts Court System – Main Page". Mass.gov. May 24, 2012. Retrieved 2012-11-16. ^ "Welcome to the Middlesex Sheriff's Office". Middlesexsheriff.org. Retrieved 2012-11-16. ^ Jewish Community Centers of Greater Boston. "Jewish Community Centers of Greater Boston – Early Learning Centers". Jccearlylearning.org. Retrieved 2012-11-16. ^ Second Church Nursery School. 2ndchurchnurseryschool.org. Retrieved on 2013-08-16. ^ Angier Elementary School. Retrieved January 14, 2013. ^ Bowen Elementary School. Retrieved January 14, 2013. ^ Burr Elementary School. Retrieved January 14, 2013. ^ Cabot School PTOI. Retrieved January 14, 2013. ^ Countryside Elementary School. Retrieved January 14, 2013. ^ Franklin Elementary School. Retrieved January 14, 2013. ^ Horace Mann Elementary School. Retrieved January 14, 2013. ^ Lincoln Eliot Elementary School. Retrieved January 14, 2013. ^ Mason Rice Elementary School. Retrieved January 14, 2013. ^ Memorial Spaulding Elementary School. Retrieved January 14, 2013. ^ Peirce Elementary School. Retrieved January 14, 2013. ^ Ward Elementary School. Retrieved January 14, 2013. ^ Williams Elementary School. Retrieved January 14, 2013. ^ Zervas Elementary School. Retrieved January 14, 2013. ^ Bigelow Middle School. Retrieved January 14, 2013. ^ Oak Hill. Retrieved January 14, 2013. ^ Day. Retrieved January 14, 2013. ^ a b "Massachusetts Closed Colleges". Closed College Consortium. Retrieved 2007-10-23. ^ "Auburndale Cove Picnic Areas & Building". 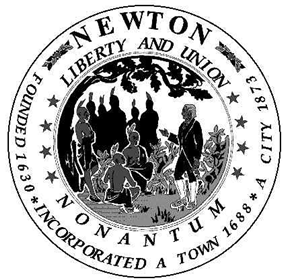 City of Newton. Retrieved 17 April 2014. ^ "Charles River Canoe & Kayak in Newton". Retrieved 17 April 2014. ^ "The Union Generals". Historic La Mott, PA. Retrieved 2012-11-16.